2019 PITCH-IN WEEK Registration is now OPEN! 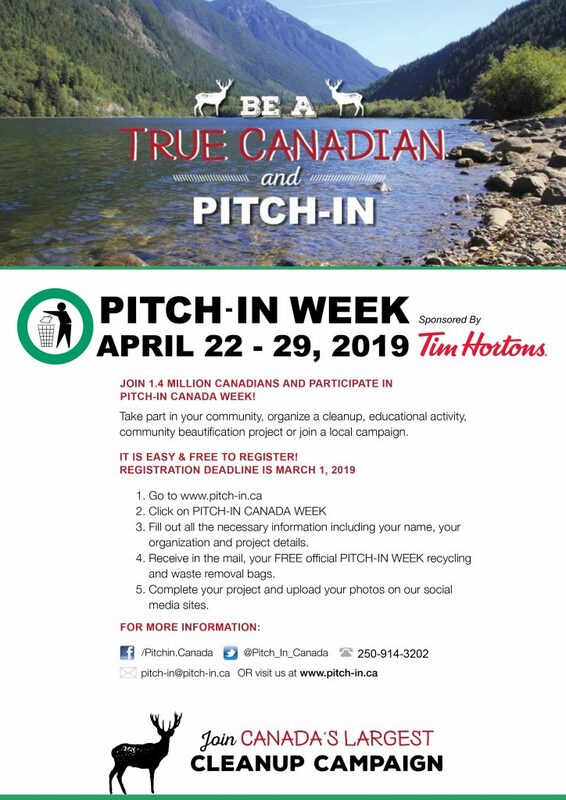 PITCH-IN Week registration is now open across Canada! We look forwards to working with all Canadians to keep our Canada, CLEAN, GREEN + LITTER free! Join us and let’s commit to saving our waterways, natural habitats, communities from litter + harmful pollution! All the Best in your 2019 campaign!